Entrepreneurs should always consider ways to stand out when creating a business. What makes your brand unique? Is it the company name? The service or product? The tagline? According to a recent survey of 1,000 people for North37design.com -- makers of handmade, one-of-a-kind bags made from recycled sailcloth -- more than half of Americans are drawn to celebrities who love to surprise their fans by changing their appearance and keeping them guessing what's next. The survey revealed that stars with a distinctive style that stand out from the crowd don't just attract attention, they endure. Celebs such Lady Gaga, Madonna, Rihanna and Katy Perry top the list of the "Most Unique Celebrities." As a business professional, your goal is to create a brand that consumers fondly remember and will recommend. With this in mind, here are lessons from four unique female celebrities to help you build an enduring brand. 1. Katy Perry: Appeal to a broad range of clients. In some ways, Katy Perry is like many pop artists of today: She can sing, she’s considered beautiful, she has a unique personal style and she has serious business acumen. One of the reasons she stands out, though, is that she appeals to a relatively large fan base appealing to a mix of cultures, races and genders. Not only will you find teenagers snapping up her music on iTunes, but those same teenagers’ parents are enjoying Perry’s music, too. Having a niche audience can have its benefits, but it might potentially help your brand's bottom line if you appeal to others outside of your target demographic. Beverage companies do this very well. For example, Coca-Cola owns brands (either fully or partially) all over the world that appeal to local tastes and they actively market to a wide age demographic. Social media strategist Caitlin Burns has said, "Understand your audience. It’s important to know who you’re targeting. What do they do? When do they live online? So when planning a marketing strategy that includes social media, think about ways to potentially attract a larger audience." 2. Lady Gaga: Own your business style. From “hatching” from an egg for a performance to wearing a dress made of raw meat, there's no doubt that whatever she does, Lady Gaga is unique and always embraces her style. Turns out, that is a good thing. According to the above-mentioned survey, 53 percent of Americans say a famous person's unique style means they totally "own it." The same should be said of your business. Once you decide on your niche and brand, "own it" across all platforms. Be clear about the audience you want to reach, the services you offer, and how you plan to share your brand's message. Be consistent with all of the above. Like Lady Gaga, with her new look and sound singing alongside music legend Tony Bennett, the brand is new and consistent. No more meat dress days or poker faces. 3. 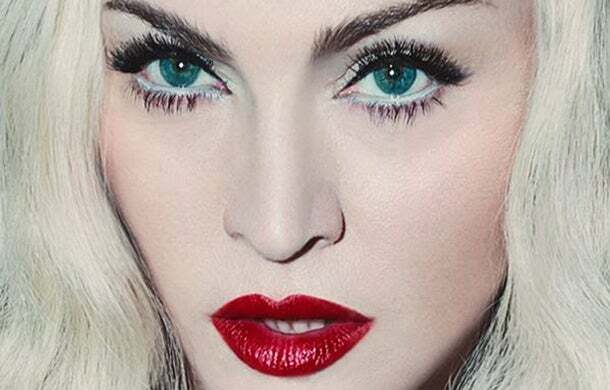 Madonna: Reinvent your brand. One of my favorite showbiz icons, Madonna, 56, was the queen of reinvention when I was younger, changing her look and sound regularly. Madonna went on to become the role model for Lady Gaga and so many other artists today. When it comes to reinventing your brand's image, don't be afraid to make changes. The change can be something as simple as updating your website template or tagline. After attending a business seminar last November on how to craft a 30-second elevator pitch, I realized my company's goals had evolved and I changed my company's tagline. In my recent piece, Score More Customers With Your Website With These 4 Tips, I outlined ways to keep your audience engaged on your site by changing your website template and colors and making it mobile friendly. It’s a simple, yet effective, way to freshen up your brand. 4. Rihanna: Survive and thrive after a public misstep. Just like the rest of us, celebrities make mistakes and deal with indignities. The difference between them and us is that they are under the constant scrutiny of millions of strangers. I recently viewed the BET Awards and watched Rihanna and her ex Chris Brown sit in the same room together six years after going through a very public domestic violence altercation. In 2009, the two were front-page news when it was revealed that Brown had beaten his girlfriend. Humiliated before fans, family and friends, Rihanna was subject to the public's relentless opinions about whether she should stay with Brown or leave him. In business, if brands suffer a public setback or have to deal with a humiliating experience, both customers and competitors are watching to see what they do next. "A brand should understand people will be looking for you to fail in your public setback. The question you then should ask is, 'how do I ensure that the misstep does not happen again?'" says branding and marketing expert Jeremy Goldman, author of Going Social: Excite Customers, Generate Buzz, and Energize Your Brand with the Power of Social Media. "Show that you have thick skin, and 'lean into the situation.' Acknowledge the misstep. Every situation is different. If it is appropriate, add humor to it. Humor is a way to deflect, to acknowledge the mistake without making the mood too heavy. If there is irreparable harm, then it should be handled another way." Being unique has made these standout celebrities wealthy and has gained them loyal followings. And while some people say they would rather blend in and not draw attention to themselves, 43 percent of those in this survey say they would be pleased if someone told them their style was unique. I firmly believe that being unique in life and business is a good thing. Guillaume Fournier Montgieux, CEO of North37 Design, the brand behind the survey says, "It's great to be different. It helps you to stand out and define who you are in a sea of people who want to be the same." By the way, what celebrity, male or female, do you admire in business? Let us know in the comments section below.